So, in case it wasn’t readily apparent, I am a new convert to the religion of Vita. And while I haven’t forsaken my Nintendo roots, and still hold a fond place in my heart for my 3DS and Wii U, I am quickly becoming a giant fan of Sony. It seems like I can’t go one week without finding some delightful game I missed out on or some upcoming masterpiece. 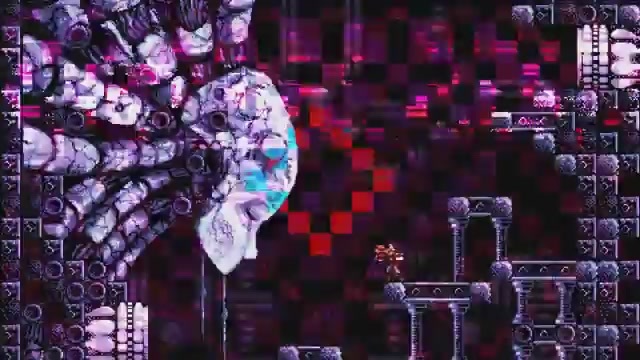 The latter is the focus of this article, specifically a great upcoming Metroidvania called Axiom Verge. Though Tom kept his lips sealed regarding the exact nature of the alien environment you explore, he did reveal Axiom Verge will hit PS4 March 31st for $19.99. While the release date for the Vita version is yet unannounced, it is coming, and those who buy it on their PS4 can benefit from cross-buy functionality. To find out more details about the game, check out the PS Blog post.